Belinda Neil had more extraordinary experiences before she was 35 than most people have in a lifetime – working as an undercover operative, saving lives as a hostage negotiator, heading up an elite anti-terrorist team during the Sydney Olympics, and catching some of the worst criminals in NSW… the list goes on. As a result of her career and understanding of Post Traumatic Stress Disorder – PTSD, Belinda will take you on a journey sharing her work experiences in some of the most dangerous and high risk areas in policing. Belinda will talk about the effect of this work, succumbing to PTSD and severe depression, the personal toll on her ability to function including seriously considering suicide. Belinda will explain how to recognize and cope with such events to minimise their impact, and, most importantly, Belinda will discuss with you her road to recovery. 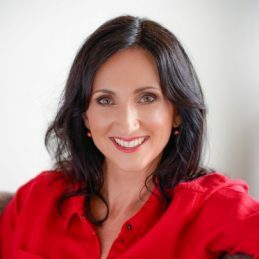 Belinda has also previously delivered training presentations to both corporate and government areas on communication, conflict resolution, dealing with difficult people and negotiation. Her eighteen year career was fuelled with an inquisitive intelligent mind coupled with her respect and strong values for doing her very best. This included having to deal with devastated families who were traumatized through crime. Her speaking engagements take you on a journey that you will never forget.